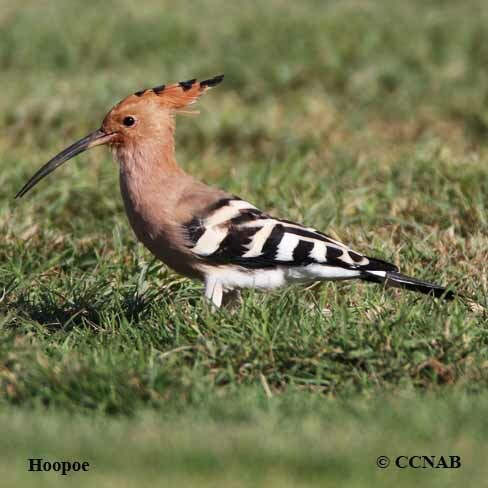 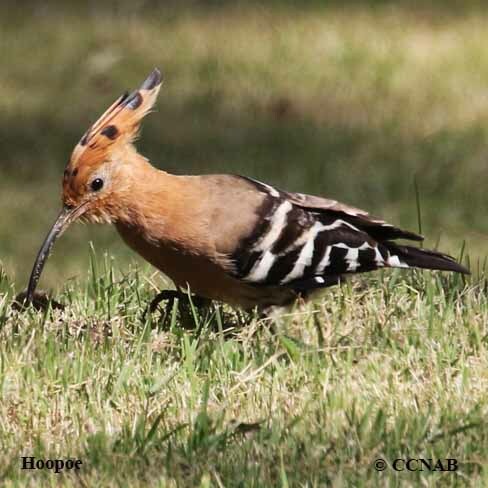 The Eurasian Hoopoe is a ground feeding bird, it uses its long curled bill to probe for grubs and insects. 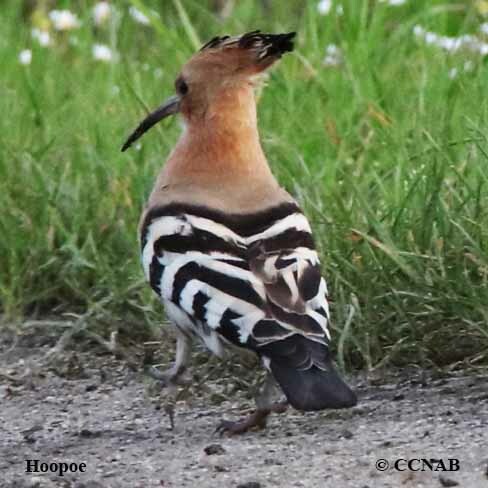 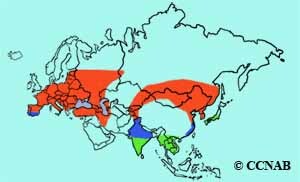 It is seen throughout Eurasia. 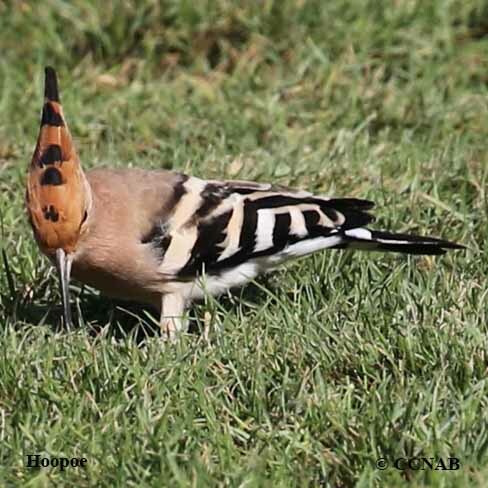 There is little doubt in identifying this bird when one sees it. 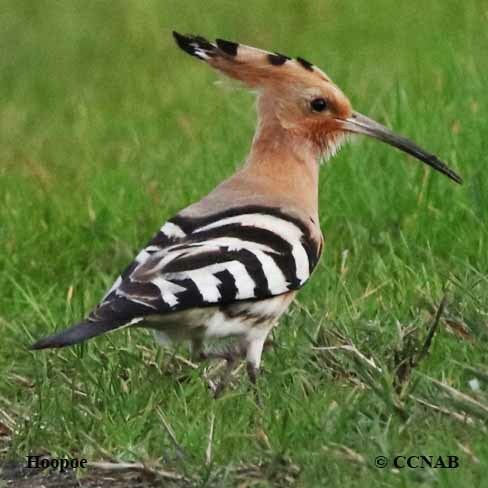 The orange-bodied bird, with black and white striped wings, along with its tall striped head crest is spectacular to observe.